Place broccoli and a little water in a small microwave-safe bowl or container. Microwave, partially covered, for 2 minute or until just tender. 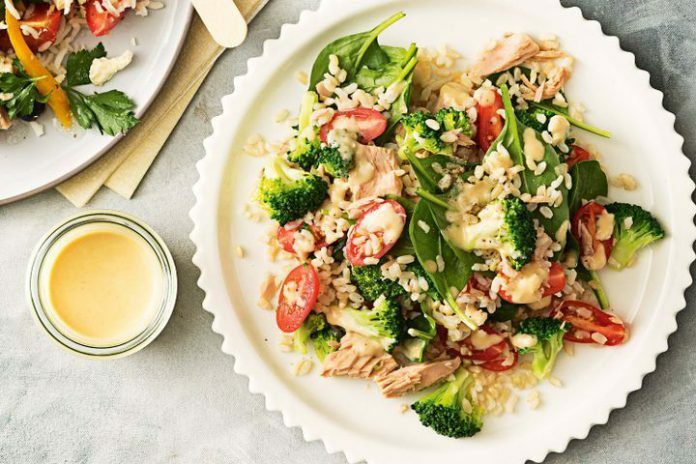 Place rice, broccoli, tuna, tomato and spinach in a bowl. Toss gently to combine.